Up until now few new beauty products have managed to cement themselves into my beauty routine this year. I’ve tried and tested countless products, but after a few weeks wear, they like most, have resided to the back of my IKEA drawers. 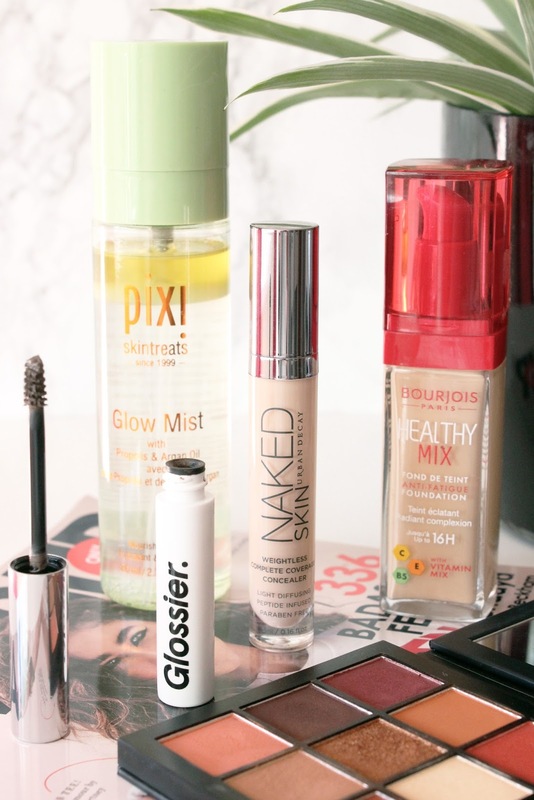 But with the influx of new beauty launches this autumn, I’ve had a bit of a makeup mix-up and I’ve been left reaching for a handful of new(ish) beauty products on a daily basis and I'm impressed. Something old rather than something new, Urban Decay Naked Skin Weightless Complete Coverage Concealer is an ol' beauty favourite of mine and for good reason. In recent months I'd been gravitating towards the Shape Tape Contour Concealer from Tarte, but with the change in the weather the heavy duty concealer started to extenuate my dehydrated under eyes with its thick matte formulation. But Urban Decay's Naked Skin Concealer has a medium-to-full coverage, yet is super light and has a natural finish that leaves my under eyes soft and smooth. This palette was made for me. No seriously, Huda Kattan has done a stellar job creating the Obsessions eyeshadow palette collection. There isn't a single dud in the Warm Brown Obsessions palette, every single shade is highly pigmented, smooth and blendable. What's more, it's diddly so ideal for on the go and Kattan hasn't scrimped on product, as the pans are the same size as her original palettes. No doubt I'll be adding another to my online basket soon. Many question why you'd need a face mist, but I've been a long-standing lover of the stuff especially during autumn/winter months when my skin is dry or dehydrated. Just think of the PIXI Glow Mist as a quick fix. A couple of spritz of the bi-phase lightweight spray, instantaneously hydrates leaving my skin smoother and dewier. Benefit Gimme who? There's no denying Benefit's Gimme Brow is a decent product and one I've used for some time now, but with Glossier's arrival here in the UK, it's found itself in competition with Glossier's best-seller Boy Brow. Boy Brow is nice; it thickens, tames, tints and is fuss-free, but its texture is what sets it apart from the rest. The formulation is far wetter and creamier (similar to a brow pomade) so doesn't stiffen or flake throughout the day. For me, it's my go-to for cba makeup days and works well with my holy-grail Anastasia Beverly Hills Dipbrow Pomade. If you've got dull or dry skin you should give Bourjois Healthy Mix Foundation a go. It's a great high street base and one I often return to come the colder months. And over the last week it has been welcomed return, as many of the foundations I had been wearing had started to leave my skin looking cakey, dry and far too matte. But Healthy Mix is radiance-enhancing and nourishes my skin with its blend of vitamins C, E and B5. What beauty products have you been reaching for recently?